ES: What board did you use in the conditions of surf and race? 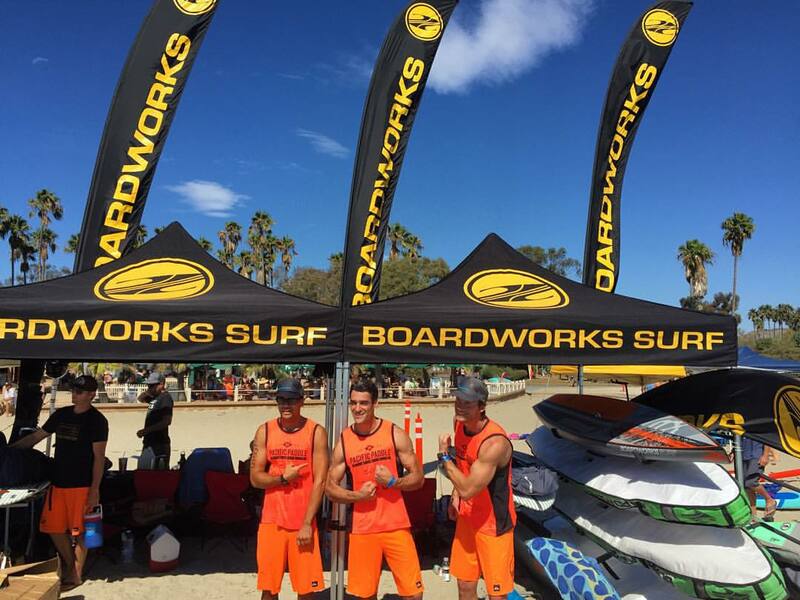 CB: Racing my Boardworks 14′ was amazing; way better than 12’6. I’ve only been in waves twice this year prior to the race, but I have majorly stepped up my river SUP skills with events earlier this year in Montreal and now living in Montana. I think my balance and bracing skills helped a lot. Also, I slackline a lot. I was ready for the conditions on a 14′ board. ES: What were some of the highlights of the event for you? ES: We definitely wanted to be there – and plan to be in 2016 – but the live feed allowed us to really enjoy the event at a distance. CB: You bet! My wife, Tiffany, watched the live Internet feed and said it was incredible, thebest SUP live feed yet! Anthony Vela was amazing! A real athlete’s umpire. He knows what the athletes are thinking, going through, and continuously adjusted and made decisions with athlete’s best interest in mind. Really impressed with his performance! ES: How do you train off season when it gets cold in Montana? CB: I love the low intensity scenic 3-5 hour workout and try to do at least one every month (usually a paddle Apr-Sep; or ski/run Fall-Winter). 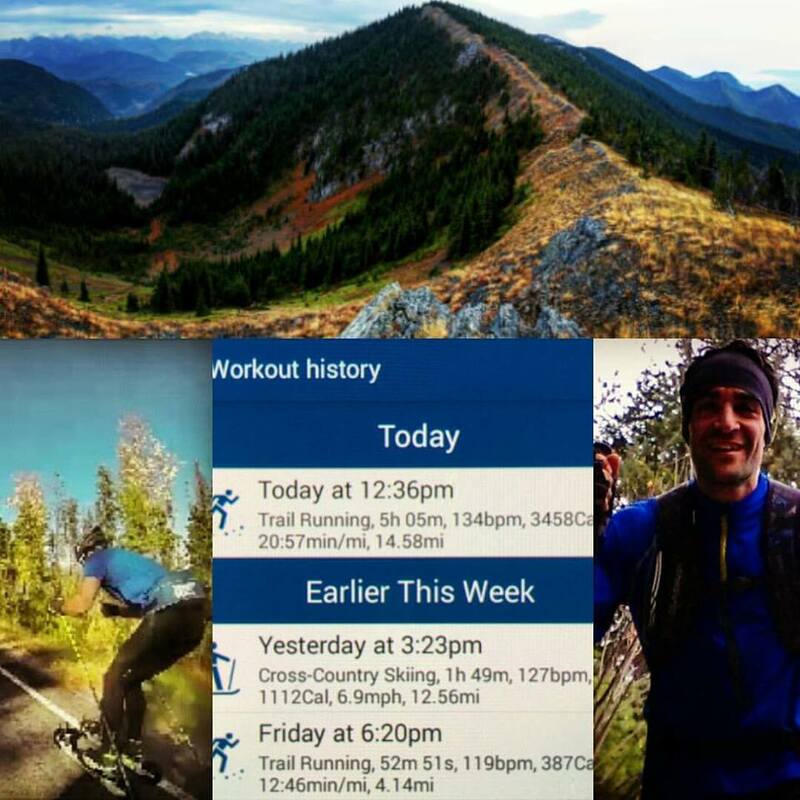 I’m doing two of these workouts in October – Going to the Sun Highway is closed to motorized vehicles starting today, so next weekend I will be out there! My roller ski speed reducers are going to work hard coming back down the pass! In addition, I got into cross country skiing at age 30 while living in OR. It is an amazing cross trainer for building aerobic base and similar core/shoulder muscle groups to what we use in SUP. ES: Any other highlights from the experience? CB: Frenchies (referring to my nationality) made a great impression (2 in top 10) and in all the event attracted great group of athletes and supporters. all in all, the racing was some of the most enjoyable I’ve done and the people keep bringing me back, because I love being around them. ES: There seemed to be some chaos and carnage in the waves and around some buoy turns. Any comments on that? CB: I honestly loved the format, but I don’t think it should stay as is. That format is too dangerous for that many people year after year. The statistics and risks are not in organizers’ favor unfortunately. The course gave us very technical SUP racing in and out of surf on 14′ race boards on a tight buoy course. I had such a great time and feel so privileged to race with so many talented racers from around the world. Thanks to my sponsors, including Boardworks Surf and KIALOA and family for the support. Please take a look at this video that sums up the experience. This entry was posted in People, SUP Fitness, SUP Racing, SUP Surfing and tagged Battle of the paddle, Cyril Burguiere, Kialoa, Pacific Paddle games by Water Words. Bookmark the permalink.